Liposuction is a technique that will improve your shape, but it should not be thought of as a tool for weight loss. Even fairly large volumes of liposuction will typically not result in more than five pounds of weight loss. Instead think of liposuction as a technique to contour your body with changes in shape and a loss of inches rather than pounds. If you lose weight after liposuction through diet and exercise, you will enhance the improvements you have already attained. Liposuction is permanent because fat cells are removed as well as fat, and the fat cells rarely re-grow. As long as you maintain your current weight, your shape will be maintained except as dictated by the normal processes of aging. However, it is important to remember that the areas treated by liposuction will have fewer fat cells relative to other parts of your body. Therefore, if you gain weight you may tend to put the extra weight on in untreated areas. Liposuction is a very effective technique for body contouring but it does not eliminate the need for proper eating and exercise. What is the recovery like after liposuction? The speed of your recovery will depend on your age, the liposuction technique used and, most importantly, the amount of fat removed. During the first 48 hours, you will experience some discomfort, which improves by the third day in most cases. A variable amount of drainage is normal. Many patients are able to return to work after three or four days, but if you have had large volumes removed or other procedures, it may take one week. This will also depend on the type of work you do. It is normal to have swelling and bruising which vary by the area treated and the amount of fat removed. You will be asked to wear a compression garment for four weeks. The swelling usually peaks by the third day but may not begin to subside until after one week. Typically the inner thighs have the most bruising and swelling because of the loose skin, and it is the area that improves most gradually. Small amounts of swelling, noticeable to you but not others, take longer, and resolve as the skin continues to tighten. 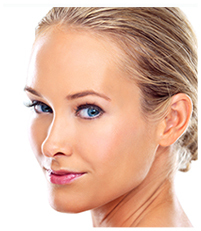 Skin tightening is gradual and is not complete for three to six months. These are risks associated with all surgical procedures and the main examples are (a) reaction to the anesthesia; (b) bleeding; (c) infection; and (d) scarring. Actually, scarring is inevitable whenever the skin is incised, so it's not really a risk in itself. The "risk" is in how you in particular will form the scarring. Each person scars somewhat differently, depending partly on heredity. A skillful surgeon like Dr. Fata will place the incision(s) in discreet locations, so that the resulting scars will be as invisible as possible. Swelling, bruising, and numbness are normal occurrences and expected to be temporary, although numbness typically takes three to six months to resolve. These are side effects rather than complications. The risks specific to liposuction include but are not limited to fluid collections (known as seromas), asymmetries, and contour irregularities. A contour irregularity is a depression in the skin that can occur after liposuction if a spot in the remaining fat layer liquefies. These depressions are generally mild and not noticeable. If it is a concern it can be corrected with fat injections. One rare but serious risk of liposuction is the formation of blood clots in your leg. These are known as deep venous thrombosis, and the danger is that they can break off and migrate to your lungs. This is known as a pulmonary embolism. Dr. Fata will take measures during surgery to minimize this risk by using elastic stockings and compression devices around your calves to keep the blood flowing smoothly. After surgery, you will need to drink lots of fluid and walk frequently (6 times a day; 10 minutes each time) to minimize this risk. Also, you need to be off birth control pills and hormone replacement, which may increase the risk of blood clots. The tumescent liposuction technique is the injection of a saline solution containing a local anesthetic (xylocaine) and epinephrine (adrenaline) just prior to performing liposuction. This method expands the fat layer for easier removal, prevents the accumulation of heat, and significantly decreases the amount of swelling and bruising. 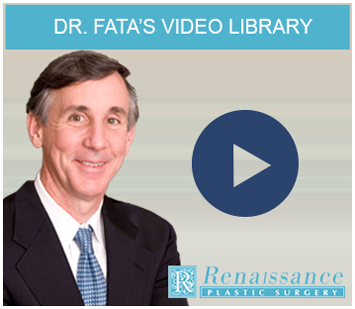 Although some physicians have marketed tumescent liposuction as a special form of liposuction, it is a standard part of all of Dr. Fata's liposuction procedures. Ultrasonic liposuction (or Ultrasound Assisted Lipoplasty — UAL) is a technique in which a specialized liposuction instrument emits high frequency sound waves to liquefy the fat before it is removed. This technique has changed liposuction into a finesse procedure because the fat can be removed with greater precision and less trauma. Ultrasonic liposuction has also improved the results in areas of firm, fibrous fat that had been resistant to traditional liposuction techniques, such as the back, upper abdomen and male breast. SmartLipo™ is a new, laser assisted liposuction technique. A long, thin metal rod is passed through the fat, releasing laser energy which heats up the fat cells and causes them to burst. The liquefied fat is then removed using traditional liposuction techniques. This technique is very similar to ultrasonic liposuction, in which ultrasound waves cause the fat cells to vibrate and burst. One theoretical advantage of SmartLipo™ is that the heat generated may stimulate collagen formation, which will tighten the skin. On the other hand, ultrasonic liposuction also produces heat, which may tighten the skin as well. At this time, SmartLipo™ is only recommended for small, limited areas and has not been shown to have any advantages over the tried and proven technique of ultrasonic liposuction. To learn whether liposuction would be a good option for you, please call Renaissance Plastic Surgery at 317-575-9152 or contact us online to set up a consultation for you with Dr. Fata in our Indianapolis office.